I have a Hertz HDP4 for sale. I have 2 Hertz HDP4 amplifiers in excellent used condition. Was installed in SQi competition vehicle, but ran for less than 2 months. Car gone now, don't need the system. Excellent digital amps with huge power for their size. On ebay right now for $650 each, make me your best offer and lets see if we can work something out. 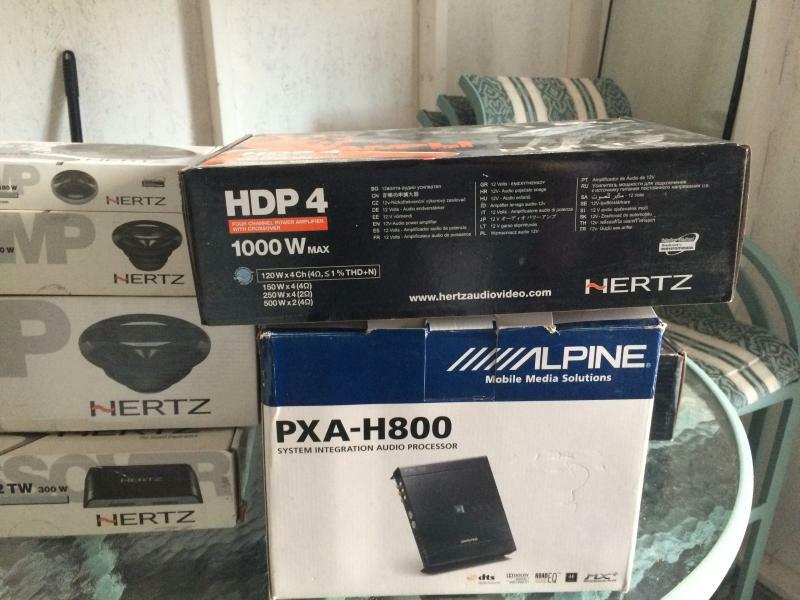 See my other ads for Hertz MLK3PA set, Alpine PXA-H800 w/RUXC800, and Alpine IVA-W505 modded for toslink out to processor. Package deal available if interested.